Description: Genetic engineering, conceptual artwork. 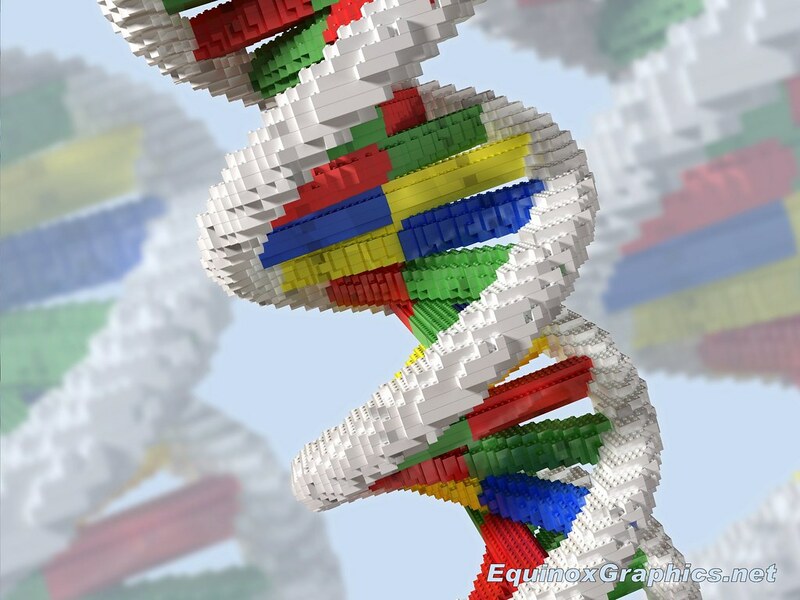 DNA (deoxyribonucleic acid) molecule made of Lego representing scientists' ability to alter and rearrange an organism's genetic material. DNA is composed of two strands twisted into a double helix. Each strand consists of an outer sugar-phosphate backbone (white) with nucleotide bases attached (red, green, blue and yellow). The sequence of these bases forms the genetic code, determining each cell's structure, function and behaviour. Inserting new DNA into a section of original DNA will alter the instructions from this region.